From the White House to grade schools, the immigrant community is experiencing racist discrimination, harassment and threats of violence. 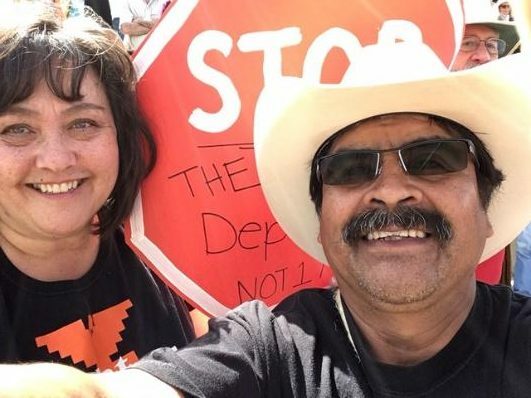 Thanks to NOWIA Unete: Center for Farm Worker Advocacy, immigrants in Southern Oregon have a powerful group organizing to change this experience. Unete supports parents to advocate in their children’s schools by offering leadership training, provides educational resources such as English and citizenship classes, and deploys a trained 45-person rapid response team that organizes community actions for immigration crises in Medford and across southern Oregon. Unete was instrumental in turning out voters to defeat the recent attempt to repeal Oregon’s sanctuary law. In fact, Jackson county defeated Measure 105 by 54.8 percent – a difference of 9500 votes! Now, Unete is working with other MRG grantees, including Eugene NAACP and Beyond Toxics, to challenge agricultural pesticide and chemical exposure experienced by hotel workers and residents of employer-provided housing. Through community education, cultural presentations, and advocacy, Unete Center for Farmworker Advocacy is creating a movement of farm workers and immigrants in Southern Oregon who have the power to defend their rights while also developing and implementing programs that directly benefit the community.